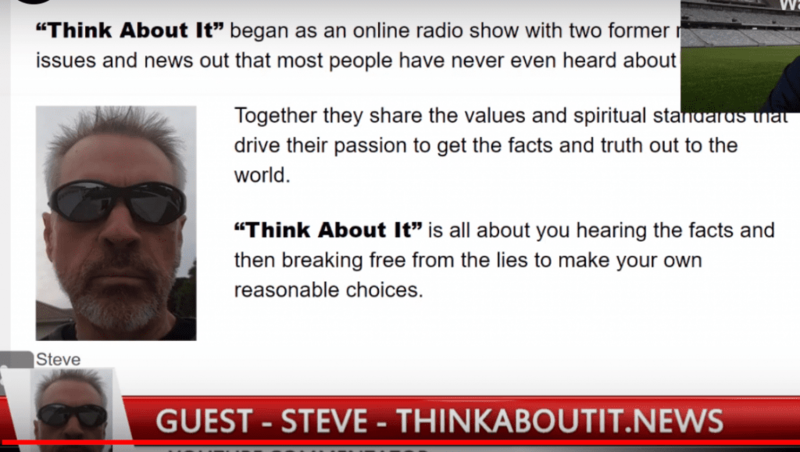 Steve from thinkaboutit.news is a guest on the show, today. We’re tired of the lies. Steve has almost 500,000 followers online. Until you have a holy discontent, you’ll just go back to idiocy week after week in churches and the culture. We have so many uneducated authorities in the world and in the churches. For example, why isn’t the Book of Enoch in the Bible? The writers of the New Testament were very familiar with the Book of Enoch. Why was it in the Bible for 500 years, but no more? The church is lazy and apathetic, not studying to show yourself approved. Steve takes on topics such as: Flat earth. Nephilim. Giant skeletons have been found, recently. Why does the government come in and hide the bones before people can learn about what’s happening? The disembodied spirits of the Nephilim are demons, evil spirits. Indians called God the “Great Spirit.” God IS a great spirit. He has no image of a man. Part of the curse is that evil spirits would stay on the earth to bother man. However, all things work together for good to those who love God, and are called according to His purpose. Even a carnal Christian cannot be possessed by a demon. God will never take away our will to choose Him or Satan. We are not robots. We choose Christ…or not. We are spirit, soul and body. Many things people will not talk about are very real. This is a spiritual battle. There are angels warring in the heavenlies, right now. Things happen in the spiritual realm before they happen here. As Christians, sealed by the Spirit of the living God, we have authority to take down evil powers. We wrestle not against flesh and blood but against principalities and powers…What happens in the heavenlies plays out in the physical world. Language is being changed. We need to protect the Word of God, so no one can change it. “They” are the principalities and powers, evil in high places. They’re doing it through people. It’s playing out in front of us. It isn’t about finances, pleasure and retirement savings. It’s a a spiritual battle we’re in. God works through men, and so does Satan. Nothing gets done except through men’s free will choosing. People are being used by evil forces to make Satan’s plans come to pass. Satan blinds people’s minds.